Before examining Mookie Betts and Mookie Betts’ excellent 2018 season in earnest, allow me first to address some claims I have no intention of making in what follows. I will not, for example, state definitively that Mookie Betts is the most talented player in the majors. I will not suggest that Betts ought obviously to be the MVP of the American League. I will not argue that Wins Above Replacement is an infallible measure of player value. I will also not contend that FanGraphs’ version of WAR is necessarily superior to others that exist. What I will say is that WAR is a metric designed to account for the ways in which a player contributes on the field and to translate those various contributions into wins. While the methodology employed by FanGraphs differs slightly from the one used by Baseball-Reference, for instance, both are constructed with the same end in mind — namely, to estimate the value of a ballplayer relative to freely available talent. Each represents an attempt to answer a good question in a responsible way. According to the version of WAR presented at this site, Betts was the major leagues’ most valuable player this year. By FanGraphs’ calculations, he was worth just over 10 wins relative to a replacement player. As Craig Edwards recently noted, that 10-win threshold is pretty significant: the “worst” player to reach it since the beginning of last century is Norm Cash. Cash, according to Jay Jaffe’s JAWS metric, was more or less his era’s Mark Teixeira. Whatever one’s opinion of Mark Teixeira, it’s encouraging if he represents the floor for a player’s career projection. It’s difficult to record a 10-win season by accident. Mookie Betts is very good. What follows is an account of how Betts produced those 10 wins — an anatomy, as it were, of a historically great season. By examining the constituent elements of WAR — and Betts’ performance in each category — it’s possible perhaps to arrive at a better sense of what is required for a player to distinguish himself amongst his peers. It might also possibly allows us to better appreciate what a special talent Betts has become. The batting element of WAR is calculated, more or less, by translating all the hitterly events (walk, single, double, etc.) into runs. By this measure, Betts ranked second among all major leaguers behind Mike Trout — and finished just ahead of teammate J.D. Martinez. 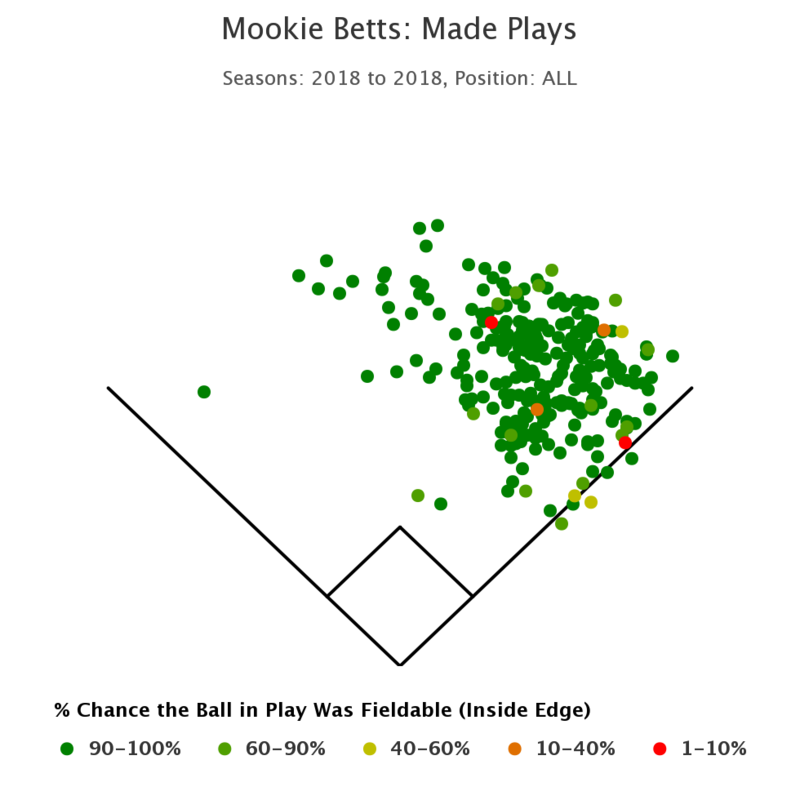 For all his success before the 2018 campaign, Betts was a much more dangerous hitter this year — and his game was basically without flaw. He walked more often than most major leaguers, made contact more often than most major leaguers, and barreled the ball more often than most major leaguers. That translated into a batting title and the fourth-highest isolated-power mark among the league’s 140 qualified hitters. Mookie Bets both hit and hit for power. According to Statcast, Betts hit for the most power on May 2nd. Over the course of the whole season, he hit only two balls an estimated 440 feet or better this year. Both occurred on the same day and both were recorded against Danny Duffy. While Betts’ game power has emerged mostly since his promotion to the majors, his footspeed has been regarded as asset for the duration of his professional career. Indeed, even Baseball America’s draft report for Betts was dedicated largely to the impact that Betts’ abilities as a runner would have on his value. He’s an above-average runner but not a true burner. However, he has good baserunning instincts, and his running ability should play in pro ball offensively. Some scouts believe the speed will play better defensively and want to shift him to center field. Others believe his solid first-step quickness and quick-twitch athleticism give him a chance to stay in the infield, though more likely at second base than at short. Betts really isn’t among the league’s fastest major leaguers. His sprint-speed mark of 28.1 feet per second this year, for example, places him within the top-third of all major leaguers by that measure but not much higher than that. As anticipated, though, his instincts allow the raw tool to play up. By the methodology employed by FanGraphs — which accounts for stolen-base success (wSB), other baserunning acts (UBR), and double-play avoidance (wGDP) — Betts has produced the second-most baserunning runs among all major leaguers over the four years during which he’s recorded a full complement of plate appearances. He sits behind only Billy Hamilton by that measure. This year, he finished eighth among the league’s 140 qualifiers, his 30-for-36 stolen-base record yielding 3.1 runs, the seventh-best mark among all major leaguers. Measuring defense is a two-part endeavor. Metrics like Defensive Runs Saved (DRS) and Ultimate Zone Rating(UZR) are used to assess a fielder’s positive- or negative-run contributions, but those figures only measure a performance relative to players at the same position — and position plays a large role in determining a player’s overall value as a defender. While Cody Bellinger has actually acquitted himself well in center field despite having played the bulk of his major-league innings at first base, that’s an atypical outcome. (Imagine, by way of comparison, Jesus Aguilar attempting a similar feat.) A full season of the former position is worth considerably more (+2.5 runs) than the latter (-12.5). Betts isn’t a prototypical right fielder. Indeed, he recorded zero appearances at the position as a minor leaguer, making almost all his starts during that period at second base. The presence of Dustin Pedroia moved him to the outfield, however, and the presence of Jackie Bradley Jr. to right, which is where he has resided since the beginning of 2016 campaign. His -5.3 figure for positional adjustment reflects a 2018 season spent mostly in right (-7.5 per 162 games) but with a handful of center-field starts adding a bit of positive value, as well. While Betts is technically used by the Red Sox as right fielder, he possesses the athleticism of player who occupies a much more challenging place on the defensive spectrum. This is revealed by the numbers. Since the beginning of the 2016 campaign, Betts has recorded a +57.8 UZR in right field — the best single mark by any player at any position. That more than compensates for the negative positional adjustment of right field, placing Betts fifth among all qualifiers over the last three years. His +15.3 runs in right field this year were the second-most by a player at his respective position. (And he added to that figure with a few stray runs in center.) Overall, despite passing the majority of the season in right field, Betts was baseball’s 12th-most valuable defender according to our calculations. Betts made two plays this year, according to the criteria used by Inside Edge, on which there was a “remote” chance of converting an out — that is, somewhere between 1% and 10%. Those are represented by the red dots below. This doesn’t represent the totality of the WAR calculation. To reach the final number, one also has to add a league adjustment (+1.8 runs in Betts’ case), replacement adjustment (+18.4), and then to convert those runs into wins. (For the purposes of 2018 WAR, a win is worth roughly 9.7 runs.) Those figures all have less to do with Betts himself, though, and more with the accounting necessary for the final mark to answer the question it purports to answer. Along those lines, I should also note that the figures on the WAR leaderboard are subject to some slight alterations. The defensive numbers don’t include Game 163 yet (and won’t till Sunday). 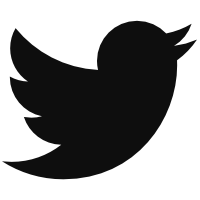 Plus, further minor adjustments to the data or methodology could add or subtract a tenth of a run or two. Whatever minor adjustments might occur, however, none of them will invalidate Betts’ outsize influence on a postseason-bound Boston club or render his play any less impressive. Betts is one of baseball’s best hitters, best runners, and best fielders. That combination of talents is rare — but also necessary when endeavoring to author a campaign as notable as the one Betts has just produced. We hoped you liked reading Mookie Betts Is the WAR Champion of 2018 by Carson Cistulli! The first of the two remote catches didn’t look like it had a 1-10% chance to be caught. He coming in at a pretty decent angle to track the ball and doesn’t even go at full speed and catches it pretty high off the grass. I think he would have caught the ball if it were another five feet away. Even off the bat it didn’t look like a definite hit, Second play was incredible and Betts is obviously a fantastic player so this is just a comment on that one play. Agreed. Does anyone know the basis for the catch difficulty? Is it just the percentage of similarly hit balls that are caught (regardless of defenders and defensive alignment)? Does it take into account that Betts is playing RF? Does it take into account where he was positioned when contact is made? If a catcher sprinted to the OF and somehow caught a ball hit to the track, would that be a “more difficult” catch than if an OF caught it? It’s tough to tell for certain but it looks like he had the batter shaded well over toward CF and/or got an insanely good jump on that ball too. The first ball was extremely difficult to catch. What makes Betts amazing is that his first step, speed and route efficiency made it look easy. The second catch reflected more of his speed, while the first was all the stuff you don’t see on TV. Would be great to see where he started out on that play, a second before the camera cut to him. Based just on the catch probability I’m guessing it was a long way from where he first showed up on screen. Even on the replay he’s already well in motion by the time you see him. yeah super players have just started running when the camera cuts them so you know he at least got a better jump than that. even in the second play, it doesn’t look like he’s going that fast, but his path is just so direct. The first video is tagged as April 24th, but the video is from the game at Oakland on April 20th. Mookie did have a 4-star catch in the game on the 24th, in Toronto, with a catch probability of 31%, that looked way more impressive than the above video. I can’t find any Statcast info for the catch posted above. You are very correct. Duly edited. Thanks.